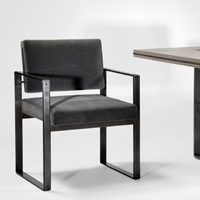 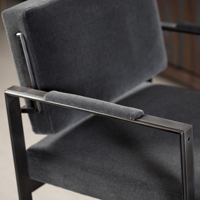 The Bagagli (bah-gahl-yee) Dining Chair is hand crafted in Southern California. 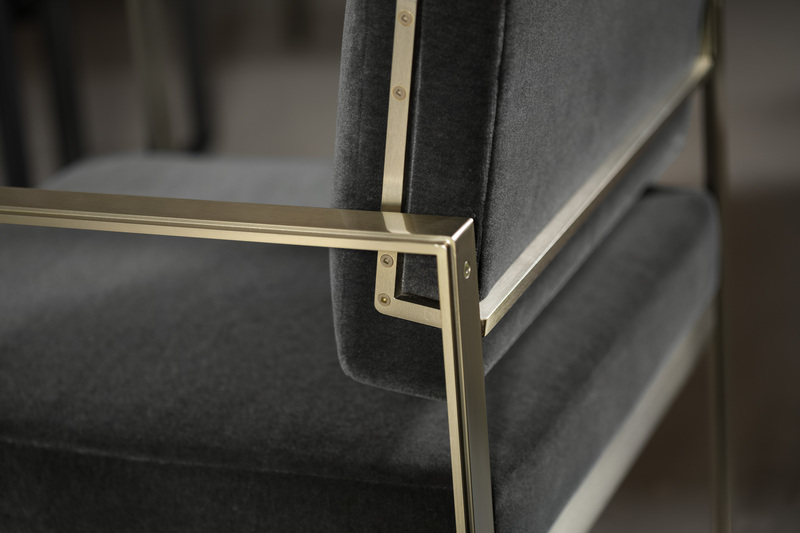 This piece was inspired by the earlier part of the 20th Century's design and quality found in classic traveling trunks. 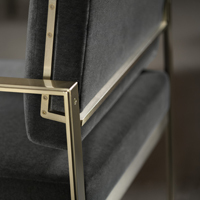 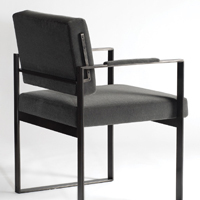 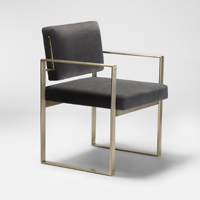 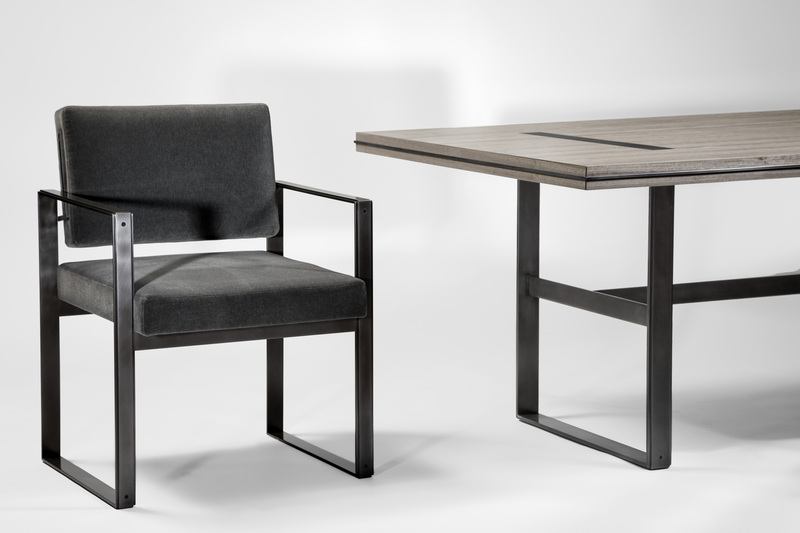 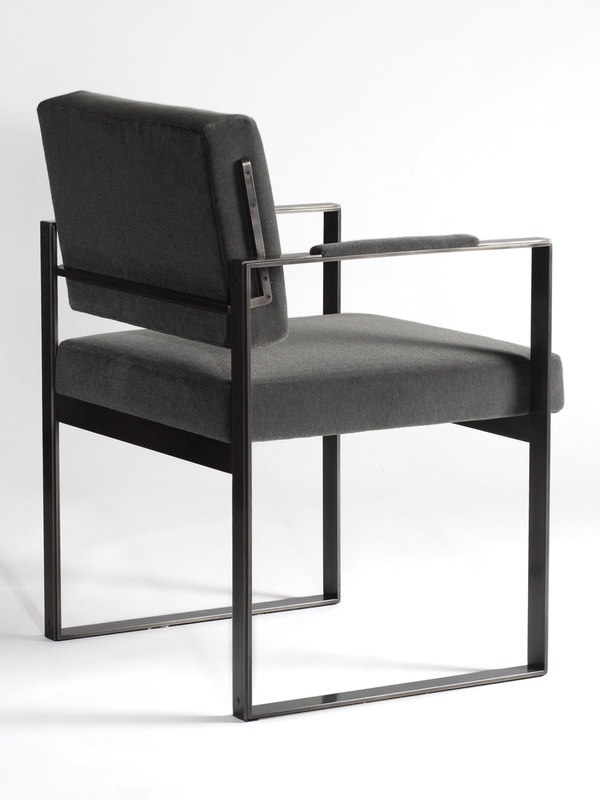 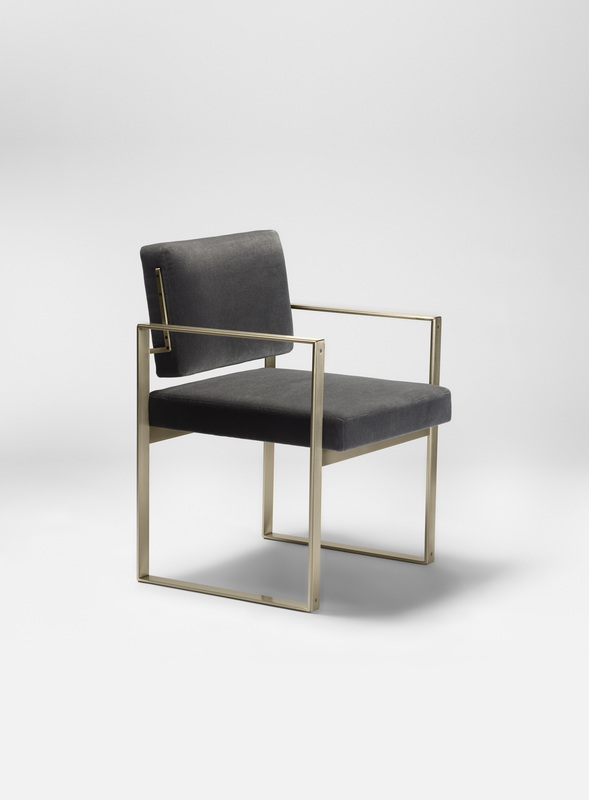 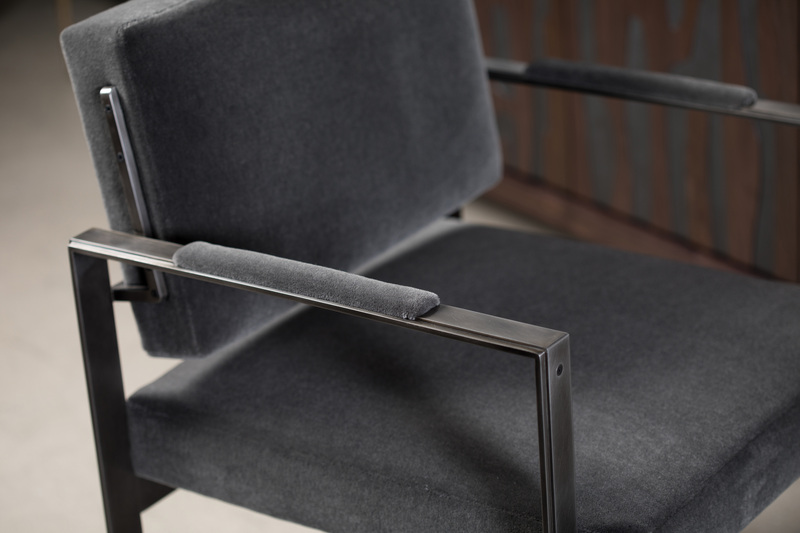 With its fine details of stepped metal framing and visible bolt heads, this chair reflects a sense of understated worldliness.